CUSAT 2019 Answer Key has been released. 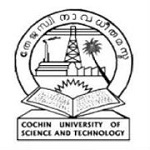 Cochin University of Science & Technology is an authority to conduct the CUSAT 2019 university level entrance exam. It is conducted by the name of CUSAT Common Admission Test (CAT) for admission in B.Tech and various PG courses. It also conducts the Lateral Entry Test (LET) and Department Admission Test (DAT). Candidates can get admission in its three affiliated campuses. Candidates can also apply on the basis of GATE and MAT score. Candidates can get here complete details about CUSAT 2019. CUSAT CAT 2019 Answer Key has been released from 10th April 2019 through login. Check here for answer key details. The official exam dates for CUSAT is given in the table. CUSAT result 2019 will be uploaded on the university website in the third week of May 2019. Candidates can view their results through online mode. Candidates will also able to get the CUSAT cut off marks 2019 after released by the university. The university will also release the CUSAT answer key after few days of the completion of the exam. Candidates can verify their questions marked by them in the exam with the help of answer key. Candidates those have submitted application for CAT 2019 and have submitted the prescribed fee will be only considered for CAT 2019 and allied admission procedures (except for the programme M.Tech Marine Biotechnology). All admissions are based on the merit of the candidates prepared from the entrance test conducted by university. On the basis of the valid score/rank obtained in the prescribed test/examination and score obtained in the group discussion/interview, the admissions will be offered. The CUSAT admit card 2019 has been released through online mode only. It is made available for downloading from 25th March to 7th April 2019. Candidates should check their CAT test timing in the admit card. Question: If I will apply separately for two course, then I have to pay twice? Answer: Yes. If the candidate apply for two courses then they should pay the application fee twice. Question: How should I know about my CUSAT 2019 application status? Answer: Candidates can check their application status on the university website in ‘Application Status’ section. Question: How many times I can appear for CUSAT in one year? Answer: It is conducted only once in a year. Question: Is university will send me the admit card by post? Answer: No, The university will not send the admit card by post to any candidate. Question: I am final year/semester graduate student, can I apply for PG courses? Answer: Yes, the appearing students are also eligible to apply. Question: Is there any negative marking in the exam? Answer: Yes, 1 mark will be deducted for each incorrect answer. Question: Can I get admission in MBA programme through other national level management exams? Answer: Yes, one can apply through CAT (Common Admission Test conducted by IIMs)/MAT (conducted by AIMA) or CMAT (conducted by AICTE). Candidates should read the information mentioned in the prospectus and fill the application form. The candidates can fill the application form through online mode. The CUSAT application form 2019 has been started from 30th January 2019. Candidates can fill the application form till 28th February 2019 with late fee. Candidates have to fill all the details carefully. No hard copy of the filled application form will be sent to the University by post. Candidates those applying on the basis of GATE Score or MAT shall email a soft copy of their Score Sheet/Mark List to CUSAT on or before the final date for on-line submission of application. The CUSAT 2019 application fee is different for each course. Here, we have mentioned the fee for various categories. Candidates belong to Kerala SC (KSC) and Kerala ST (KST) communities are eligible for applying. SEBC candidates of Kerala State those are certified as belonging to non-creamy layer are eligible for 5% relaxation in the minimum required marks for qualifying examination. Qualifying Exam: For all UG programmes, candidate should have completed their 12th from a recognized board. Minimum Marks: For UG Programmes (except Marine Engineering), SEBC candidates belong to Non-Creamy Layer of Kerala State have to obtain 45% in PCM (physics, Chemistry Mathematics) taken together. B.Com LLB/BBA LLB: 10+2 examination should be passed with 60% marks (for science group) and 55% marks (for Arts/Commerce/Humanities group). Age Limit: 20 years as on 1st July 2019 (22 years for SC/ST and OBC candidates). LLB: Graduation in any stream from a University recognized from CUSAT by securing 40% aggregate marks (35% for SC/ST). MCA: Science graduate with Mathematics as one of the subjects or graduate in Electronics/Information Technology/Computer Science/Computer Applications/ Engineering/Technology with 55% aggregate marks (except language & humanities). LL.M. : Bachelor’s degree in law with minimum 45% marks. M.Tech Course: Candidates those applying on the basis of GATE score card can avail the 5% relaxation in the qualifying examination marks. Here, candidates can check the CUSAT exam pattern for various UG and PG courses. Mode of Exam: The exam will be conducted through online (CBT) mode. Duration of Exam: The time allotted to answer the questions will be about 3 hours. Type of Question: The question paper will be of objective type questions. Marking Scheme: For each correct response 3 marks will be awarded. Negative Marking: For each wrong answer 1 mark will be deducted. The syllabus for each course is different so, the university will release the syllabus for each course on their website. The syllabus for the B.Tech first year will be based on plus two (12th) standard. It will contain questions from Mathematics, Physics and Chemistry subjects. Candidates can check the syllabus as per the course opted by them. If you have any other queries about CUSAT 2019, you can write your queries in the comment box given below. Is there any minimum marks needed for qualifying in the cusat exam 2019? I have lost my password and user ID of CUSAT. Contact officials or click on forgot password option on the website. kerala university BA Economics exam.is on 06-04-2019.How they write CUSAT Entrance? I am studying in 12th. I have applied CAT for Msc oceanography. Can you please tell me about the syllabus for CAT? Is there B-Arc at cusat. how can I apply for B-Arc. Is there any entrance test? I have secured 54.64% in my graduation am I eligible for applying in mca course. No, you are not eligible as minimum marks in graduation should be aggregate of 55% marks. How can l get admission for integrated MSC in Physics.Is it through CAT score? You will be eligible for admission through scores of CUSAT CAT 2019. For mba in cusat cat by chsat required? Am I eligible to give CuSat for msc courses? I belongs to OBC category..
Can I apply for the exam??? My daughter Ahana Barrick a student of final (6th) semester of Diploma in Plastics Technology of CIPET, Haldia. She wants to take admission in B Tech at CUSAT through lateral entry. What is the procedure to take admission in B Tech by lateral entry? She lives in West Bengal. Is a Bengali student eligible to take admission at CUSAT? Please inform me in detail. Is this exam ( CUSAT CAT ) relevant for MBA program. It is mentioned that exam date is 6 or 7 April. But the last date of application is 3rd week of April. Kindly review. My daughter, Ahana Barrick, is a student of final semester of Diploma in Plastics Technology, CIPET, Haldia. She wants to get lateral entry in B Tech Polymer Science and Technology or Chemical Engineering. What is the procedure to take lateral entry in B Tech? Please inform me in detail. Is there integrated msc for physics in Cusat? Portions to study for btech course in cusat? Can you give syllabus for m.sc.marine geology cat exam.